The closest he’s come in two albums to capturing his old uptempo spark. Maybe that’s because he’s found his banjo again, and it pokes some much-needed holes in the thick layer of polish. Or maybe it’s because he dares to be a little lusty – “waiting on the sun to go down,” with his passion rising like (nice touch) a lake in heat. Either way, it works, if in a disposable way. It could even function as a prequel to the melancholy “‘Til Summer Comes Around.” But Urban’s so revved up here that you hope not. Really like this one! My favorite from Keith’s since “I’m In” last summer. Great, fun song! I love it and the video. Keith has stated that he will be doing something different on his next CD and I’m anxious to hear what it is! Wish he would go back to his Ranch and Golden Road days! I fell for it. Not much else to say. I was about as bored with Keith’s uptempos as everyone else, but somehow this one just seemed a little bit different to me, and I think you hit on the main reasons why. It does have an extra lusty layer beyond his usual puppy-love ditties. And I do love that banjo. Anyway, I haven’t tired of it just yet. I like this one too. While it’s energetic, it seems more organic than his stuff has sounded in awhile. I forgot that I bought the “Get Closer” cd – I think at Target. Checking my i-tunes library, I see that the last time, and only time, I played “Long Hot Summer” was in the middle of January. Just played it for the second time and I agree it’s not bad. B seems like a fair grade. I am not a big Keith Urban fan, but I love this song. Much better than his past two singles. To me this is just a tweaked version of “Put You In a Song”. Lyrically, there is a little change around in terms of the songs theme; as well a barley audible banjo part is added in the background. Otherwise, the songs overall sound and structure don’t differ that much from “Put You In a Song” to me. I thought the former (Put You In a Song) was an all around average pop track with little or nothing to do with making it a country music song. I think the same of the latter here. Neither song holds onto my attention for very long either. Every once and a great while when I come across it on a playlist or in shuffle mode I might take a listen and won’t skip over it. However, these tracks aren’t something that will keep me coming back and pressing play for years or months to come. I’d give the latter song here in “Long Hot Summer” the same grade that I’d give the former given their similarities. Both get a B- from me. I personally hope he releases either “The Luxury of Knowing” or “Right Back to You” next off his album as those are my two personal favorite cuts on the album. I was able to download that song on the Zune Marketplace, so I believe it has an outreach beyond Target stores. …when he’s at his best, you want to cut off the roof of your car to get that matching “top rolled down” feelin’ in a max way. …an when you have to listen to “till summer comes around”, you wanna go back to the shop and plea to have that roof welded back on, no matter what it’d cost. It’s a pretty good song, I’d have given it an A-. Happily, Its not too country or Southern and it doesn’t feature any of the “I’m So Country” nonsense and the “I love God and The Flag” foolishness currently on the charts. That alone is nice and I’d like to see country go more in the direction of Darius Rucker or Keith Urban. But its also catchy. Probably one of the 4 or 5 best singles out there right now by a dude, in my view. I think the best single out right now is Ronnie Dunn’s “Cost of Living,” but I admit i sometimes turn the station when it comes on — its a sad song and a lot of times when I’m driving in my car that song is too sad. But the Urban song, while maybe less good artistically, never makes me chance the station. I would love to hear Luxury of Knowing on the radio, but I also can’t see that happening!! I love that song so much. It reminds of Nobody Drinks Alone off his Golden Road album. GR had so many great singles on that album, to me. “Nobody Drinks Alone” was on Be Here. Great song, though, and Golden Road was definitely his strongest set of singles. Ha, “happy” era is a great way to describe it! I liked “Kiss a Girl” also, mostly for the guitar work. Who else here is befuddled by as to this track being re-recorded for radio? 3)How the acoustic guitar stands out ostensibly at the beginning of the final chorus, as opposed to the album version where, though it softens musically at that moment, isn’t as dramatic. I’m inclined to favor the album version vocal more, but these edits nonetheless won’t hurt this track’s momentum or my opinions of this single none. It’s still likely headed for the top spot. I noticed that to, Noah, when I watched the music video. I couldn’t quite pinpoint all the specific differences, but it definitely sounded different than the album version. I can’t see why they’d see the need to re-record it either. I’m really liking this song; it sounds really fun! I haven’t seen the video yet but I’m willing to bet it’s enjoyable as the song alone. I thought the video was fine, but not outstanding. Beaches, pools, driving with the top down, Keith rocking on the guitar. More or less what you’d expect. The intention of the re-recording couldn’t have had to do with banking on future crossover airplay at Adult Top 40 and Adult Contemporary radio. It isn’t like it’s “twanged down” and, even if it were, it already sounds like a crossover-friendly sing-along in the first place. Honestly, if anything, I’m surprised some of the lyrics haven’t set off even the slightest bit of vocal curiosity. 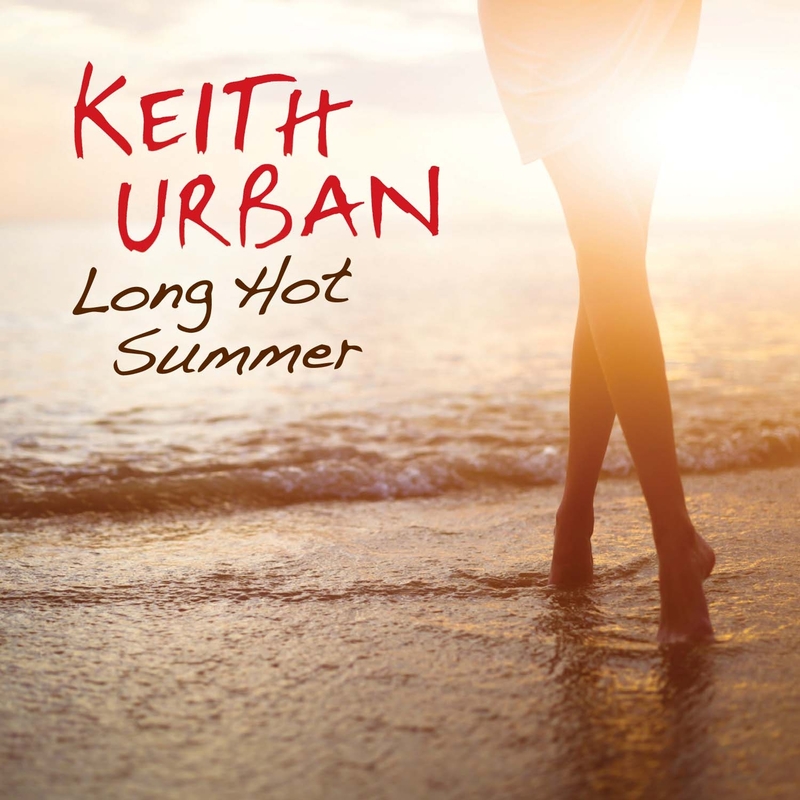 Given how touchy country radio programmers are about the sensuality and innuendos in countless tracks, I bet in the back of some of their minds the title “Long Hot Summer” got them thinking the wrong thing, especially when considering the mentioning of things “starting to rise” in the latter part of the first verse. I can even envision Urban and Marx blushing over a possible interpretation of the title, and then compulsively toning the rest of the writing down to make it sound more poetically puppy-love, as with the latter two lines in the chorus. Then again, I may just have the sole dirty mind here. As far as what’s to follow is concerned, I think it’s very likely “You Gonna Fly” is next in the pipeline. “Georgia Woods”, along with this, are the only two tracks he has consistently featured in his live set list. And I think he knows as well as we do that “Georgia Woods” wouldn’t work as a single, since it’s the outro guitar solo that really makes the track stand out, much like “Stupid Boy” has enjoyed staying power for its bleeding-heart outro. His own fans would be infuriated if that outro were cut out in a radio edit. Knowing Urban’s dichotomous appeal as a homegrown guitar hero and a hopeless romantic balladeer, you would assume “All For You” would be released to keep consistent with the rocker-ballad-rocker-ballad caterpillar trend. Yet he released three consecutive mid-to-up-tempo singles between the “18 Kids” and early-“Defying Gravity” cycles, and two of the three were chart-toppers. So I have a hunch “You Gonna Fly” is following. I do like that song’s production in that it feels “swampier” by his standards if that makes any sense, with the banjo and steam-rising-over-the-water kind of electric guitar crunches in the intro…….while lyrically I’m not as enthused.